Kurdistan Iraqi Peshmerga have been holding the line in a support role according to commanders in the Makhmour frontline 75 km east of Mosul. April 8, 2015. Some of the men crossing the “no man land” between the Peshmerga and IS position strip the clothes to discard they are wearing suicide vests, tactic used by IS militants in attacks. April 8, 2015. Peshmerga officers and soldiers stand guard waiting for more civilians to come to the position. April 8, 2015. 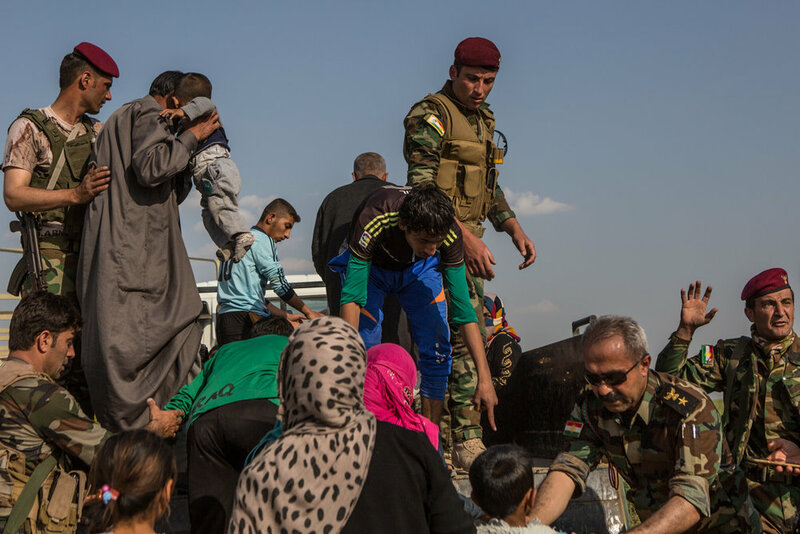 Over 100 civilians arrived this day to the trenches of the Peshmerga position in Makhmour. April 8, 2015. 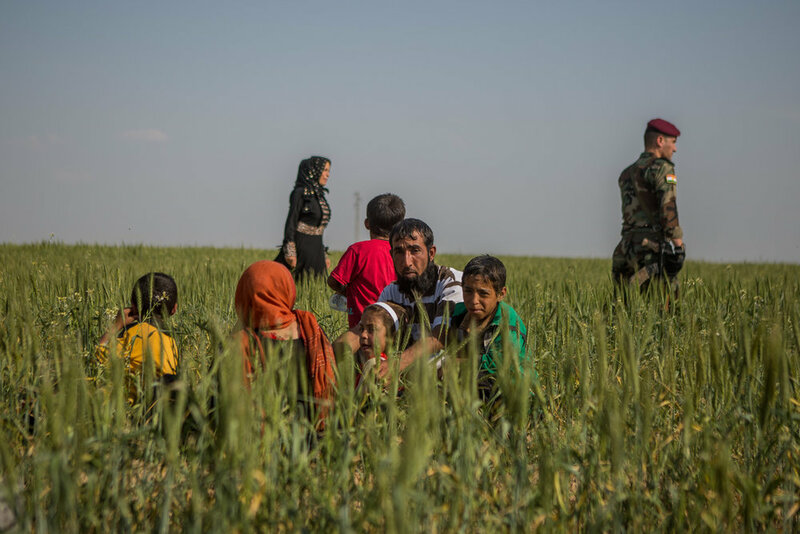 The majority of the civilians that arrived are from small rural villages near Mosul. April 8, 2015. 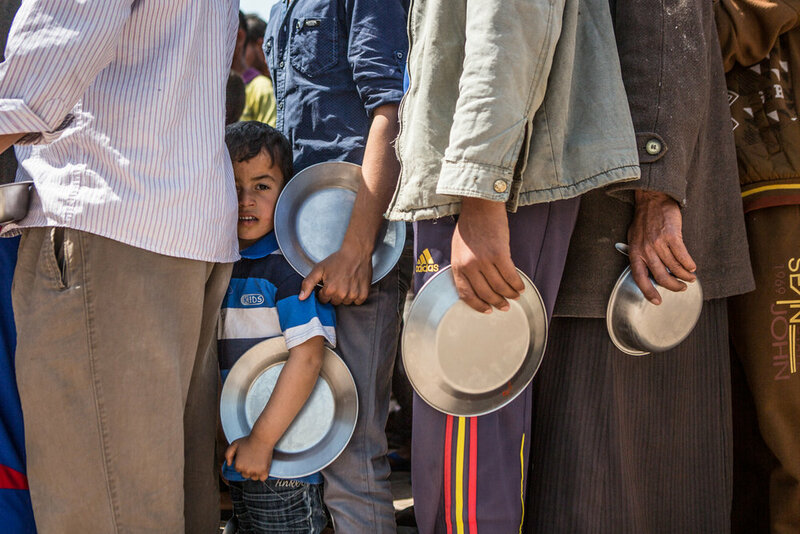 Many families have to wait until they register to be transported to temporary camps. April 8, 2015. After the civilians are registered and cleared by the Peshmerga in the area the wait to be carried by trucks. April 8, 2015. People arrive with small bags with their belongings many others just with the clothes they are wearing until they are taken to a temporary camp. Women and children represent the majority of the IDP’s that are arriving to the KRG. April 8, 2015. People begin to board the trucks after they have been registered and cleared by the officials in the area. April 8, 2015. People await in trucks until the rest is loaded to the trucks. People will be transported in trucks away from the frontlines by Peshmerga forces. April 8, 2015. Food is distributed in the camp of Debaga that is receiving most of the IDP’S that are fleeing from IS controlled territories. According to officials in the camp, more than 5700 are currently in the camp. Children play in the playground of the camp, that has been increasing it’s capacity in the past weeks. After the people that arrive to the camp are cleared from the KRG authorities, many begin journeys to new locations south of the KRG, many choose to go to Kirkurk. 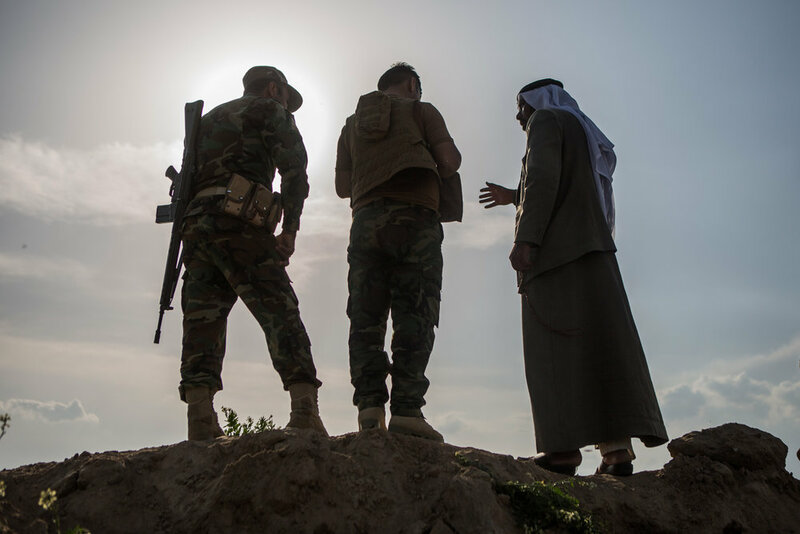 Peshmerga soldiers and a local tribe leader look ahead in the frontline of Makhmour.